If you believe there investment opportunities in the aerospace and defense sectors, instead of looking at individual stocks, consider investing in defense and aerospace sector ETFs. Such vehicles offer a widely diverse exposure to these companies, where none of the heavy research burden falls on your shoulders. What's more: ETFs let you cut down on pesky brokerage fees—ultimately saving you money by reducing your commission bill. Finally, many ETFs come with tax benefits. This ETF tracks the Dow Jones U.S. Select Aerospace & Defense Index. Its 33 holdings include stocks like United Technologies Corporation (UTX), Boeing (BA), Goodrich Corporation (GR) and Lockheed Martin (LMT). The sector breakdown of defense and aerospace stocks is about 59% aerospace securities and 41% defense securities. For more information, you can check out the ITA fact sheet on the iShares website. 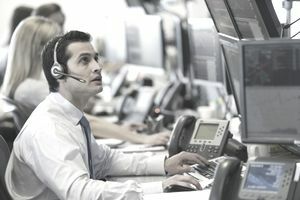 This ETF tracks the SPADE Defense Index, and of its 51 holdings, some of the top securities are Honeywell International (HON), United Technologies Corporation (UTX), Lockheed Martin (LMT) and Raytheon Corporation (RTN). The sector breakdown in this fund is 80% Industrials, 16% IT Companies, and 4% Materials. For more information, you can check out the PPA fact sheet on the PowerShares website. This SPDR ETF tracks the S&P Aerospace & Defense Select Industry Index (SPSIAD), and of its 37 holdings, some of the top stocks are Goodrich Corporation (GR), Spirit AeroSystems, Triumph Group Incorporated, and Honeywell International (HON). The sector breakdown for this fund is 97% aerospace and defense and 3% industrial machinery. For more information, you can check out the XAR fact sheet on the SSGA website. There are currently just five ETF targeting the aerospace and defense sector, which should make it simple for investors to thoroughly investigate each one, to determine which ones make the most sense. Naturally, as with any investments, these ETF offerings contain risk, with no guaranteed returns on investment.